There are many factors that go into having a successful interview. Having a prepared list of open-ended questions to ask the employer is typically not a priority for the candidate, but should be. During the interview, most employers will ask, “Do you have any questions?” the cardinal rule is never to respond with, “No, I have don’t have any questions.” Asking questions is your opportunity to find out more about the employer to see if this will be a good choice for your next career move. Plus, this shows that you are interested! 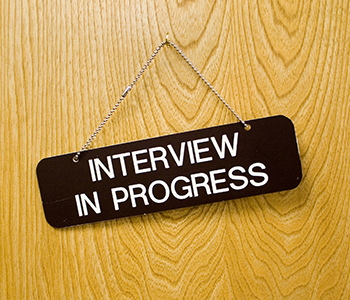 When creating a set of questions for your interview, make sure that they are ones that you really want answered. Don’t just come up with questions “just because”; put some thought into it! Remember: these questions can make a big impact on if this job opportunity is the right one for you. When preparing a list of questions for your interview, focus on three categories: the company, the hiring manager, and the open position. Asking questions about the company shows interest in what the employer has to offer to its employees and gives you an outlook on if this will be the right culture fit for you. How would you describe the company’s work environment and culture? What are the company’s short term goals (within the next 3-5 years)? Does the company have plans for expansion in the near future? What makes the company stand out amongst the others in its industry? What is the company’s policy on training and career development? Knowing more about the hiring manager’s management style, loyalty to the company, interest in developing his or her staff, etc. can truly help you determine if you will work well with this person and the related team. How long have you worked at this company? What made you choose this company? What keeps you working for this company? What is your strategy on training and developing your staff? Learning additional information about the position will help you identify if you will be happy in the role and if this is the best career move for you. Why is this position open? How long has it been vacant? What are the abilities and skills necessary to be successful in this position? What are the expectations for this position within three months? Six months? One year? Is there a work performance evaluation for this position? If so, when is it conducted and what is the criteria? Remember to use open-ended questions to truly find out what you want to know. There is no limit on how many questions you should ask. It’s better to be prepared with many questions that you can choose from than to have none at all.